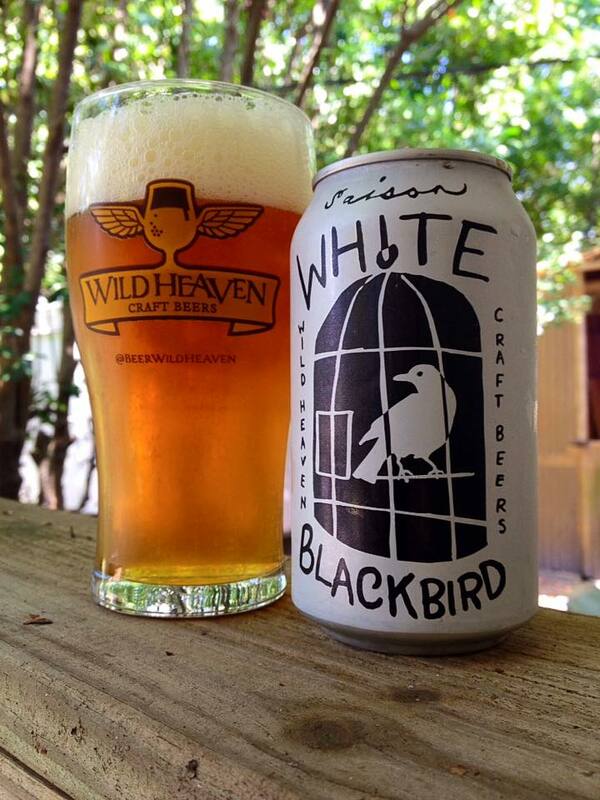 Wild Heaven White Blackbird is a Saison/Farmhouse Ale brewed with pink peppercorns and Asian pears, 6% ABV. No packaging date. 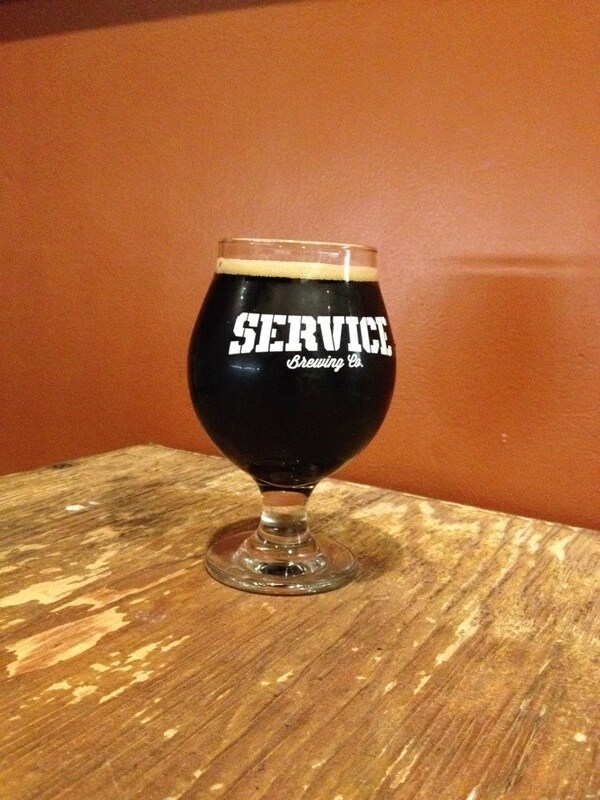 It took an exceptionally slow and steady hand to achieve the pour, but the result is outstanding. This beer has a pretty, slightly hazy golden color with a fluffy off white head. The aroma has an excellent collection of classic Belgian character; some solid peppery spice, a little rustic funk and an inviting malt sweetness. The beer itself has a bit of the barnyard funk and a mild bit of the peppercorn, while the Asian pears are bringing in some sweet fruit notes as well as a good bit of tartness on the finish. The pears are a good addition, but I must admit it took me a few sips to get used to it all. Sadly the beer feels closer to flat than brightly carbonated. I was surprised by this given the need for such a gentle pour to prevent a glass full of foam. 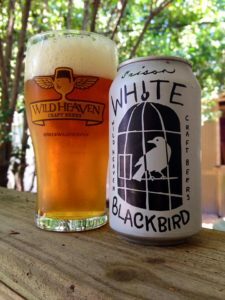 This is the second under carbonated can of beer I’ve had from Wild Heaven recently. I don’t know, maybe that is just how they like it?